“When I was born the doctor told my parents that I had Down syndrome. He told them there were many things I wouldn’t ever be able to do. He also told them I would always have low muscle tone and there wasn’t much that could be done about it. I tried soccer and swimming and didn’t really enjoy them much. 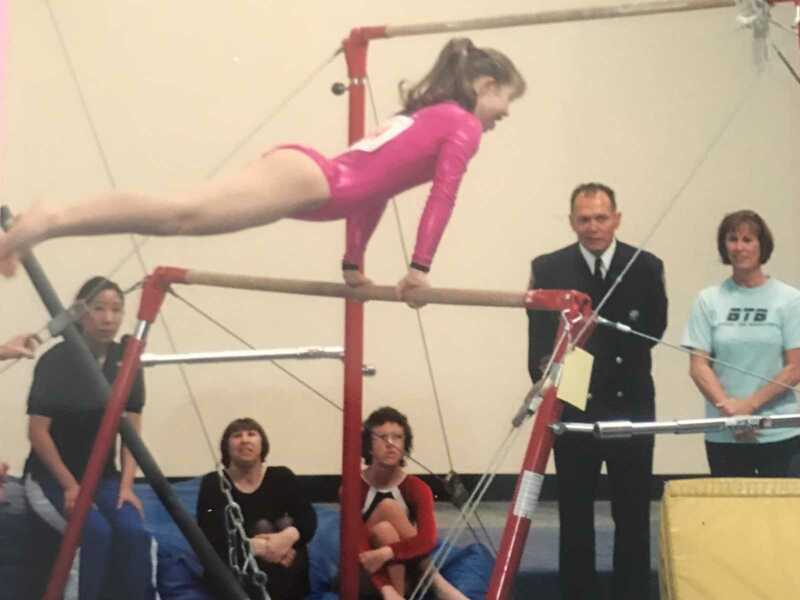 When I was around 8 years old I tried a gymnastics class for Special Olympics. I enjoyed it, but I wasn’t very good. I couldn’t walk on the balance beam more than a few steps without falling off. The balance beam was only a few inches off the ground. My muscles were not very strong so it took a while for me learn even the easiest gymnastics moves. I was getting better, but very slowly. My parents thought if I got in more practice it would really help. They called around and found someone who was interested in coaching me. Dawn Pombo was a tough coach. She made me do things over and over again. As I moved to harder skills it got much harder. Dawn figured out how to break them down into smaller steps. What would take another gymnast a few months would take me a year. There were times I thought I would never get a skill. One skill on bars took me five years. As I started doing harder skills my ankles were always getting sprained. I was in and out of the emergency room a lot for X-rays. 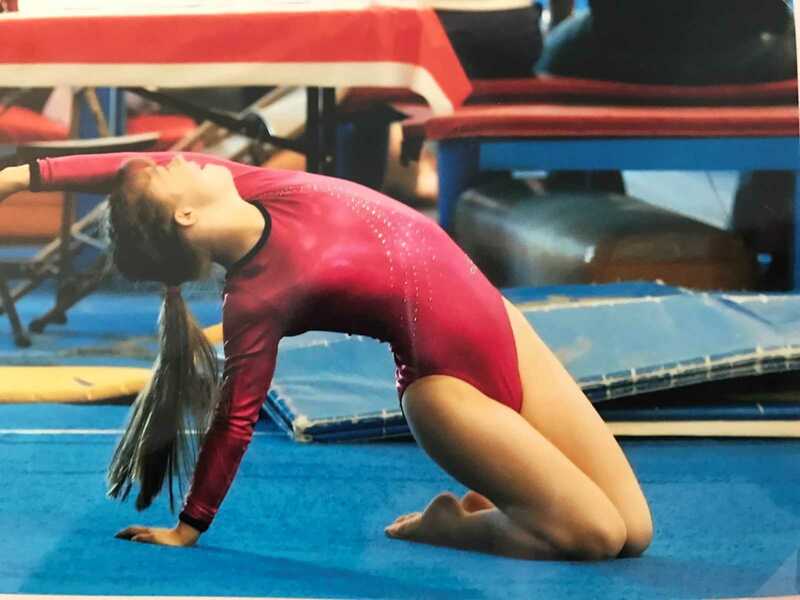 The doctors said I was born with loose ligaments and suggested I always use athletic tape on my ankles when doing any gymnastics. That was years ago, and I’ve had no more sprained ankles. I was really enjoying being on a Special Olympics team and my hard work was paying off. 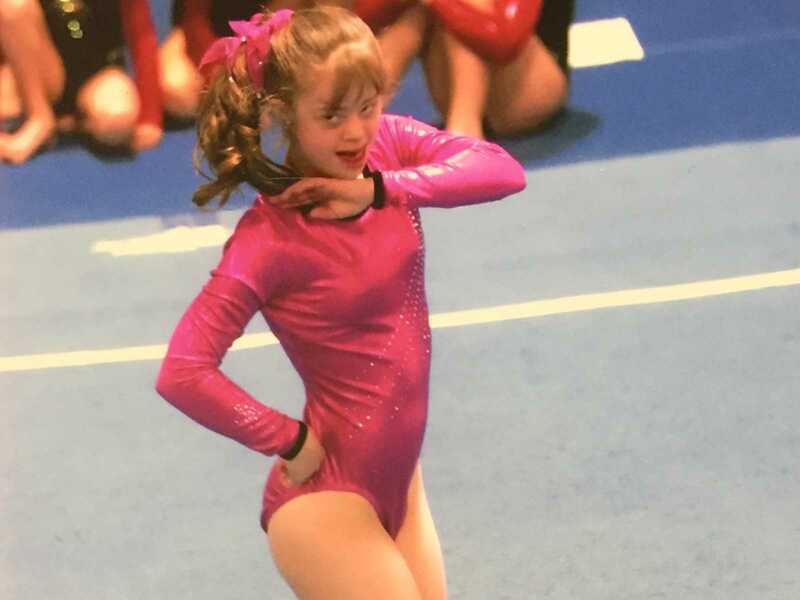 Then Northern California Special Olympics dropped its gymnastics program. 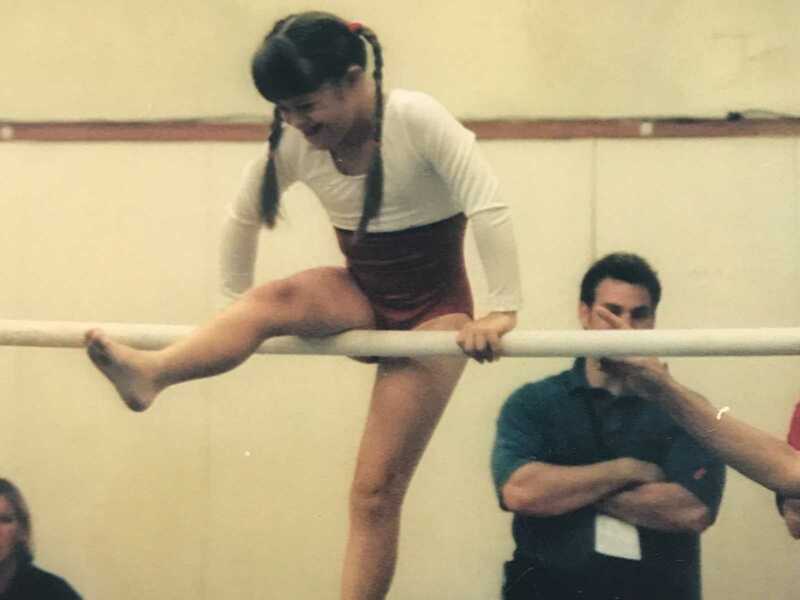 I loved gymnastics so my parents and I decided to try just a regular gymnastics team. We went to all the gyms in our area and none of them thought I would ever be good enough to compete. That’s when Dawn came to my rescue again. She was willing to coach a team just so I would be included. For the first few years I took last place at every meet. I was very aware that my scores were very low. The judges were much tougher than in Special Olympics. My training really paid off when I started to participate in the Special Olympics National Championships. Once a year I would go to Atlanta, Georgia. That’s when I finally got a chance to feel proud of my hard work. I won that competition four years in a row. 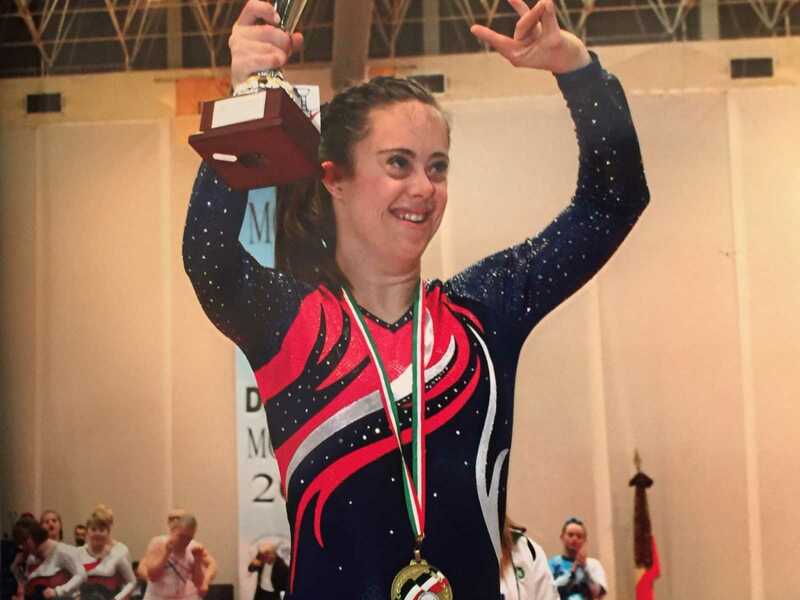 With her as my coach I won four Special Olympic National Championships and two World Championships. She always had high expectations for me and I couldn’t have done it without her! 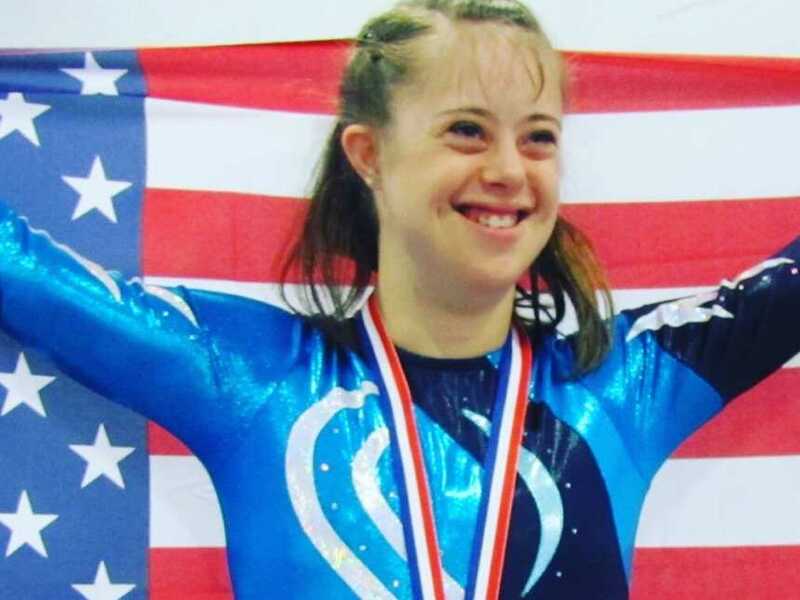 I’m now training and competing in USA Gymnastics (with non-disabled peers). Over the years many people have come up to me and tell me what a good job I did. Many parents tell me they have a child with Down syndrome and that I give them hope. I’m very proud and happy when I hear that! I was contacted by H&M to do a campaign for them. They flew me to Havana, Cuba, to film it. I was also invited to walk at New York Fashion Week as well. After that, I was hooked on modeling! I loved it! My parents looked for a modeling agency for me but most said that there wasn’t a market for models with disabilities. Briana, from We Speak modeling agency in New York had seen me in a video and contacted my parents. We Speak modeling agency represents real and healthy models of all shapes and sizes. It’s a perfect fit! I think the public wants to see real models who represent everyone. 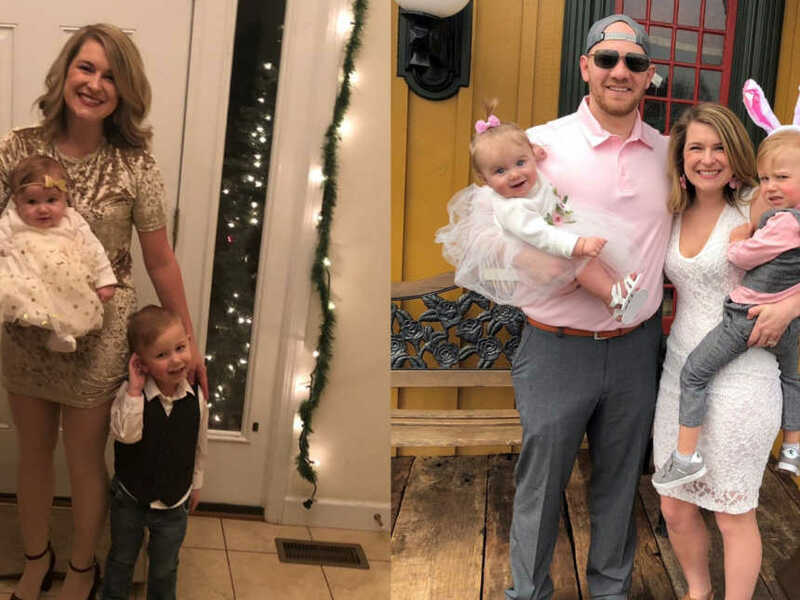 This story was submitted to Love What Matters by Chelsea Werner of Danville, California. Submit your story here. SHARE this story on Facebook to inspire others to reach for their dreams.